Microsoft is now testing new “notification messages” in Windows 10’s File Explorer. These messages offer information about new Windows features. They’re first appearing in build 14901, the first Insider Preview build of Windows 10 released after the Anniversary Update. These notifications currently only appear if you’re using an Insider Preview build of Windows 10. However, they could appear on the stable version of Windows 10 soon, since the Windows 10 Anniversary Update appears to support these messages, too. While you can just click an “x” at the top right corner of the notification message in File Explorer to dismiss it, that won’t permanently disable the messages. This button just dismisses an individual message. You’ll continue to see future notification messages Microsoft sends. If you don’t want to see any more notification messages in File Explorer, you’ll need to disable this feature entirely. However, the option to disable these messages is confusingly named. 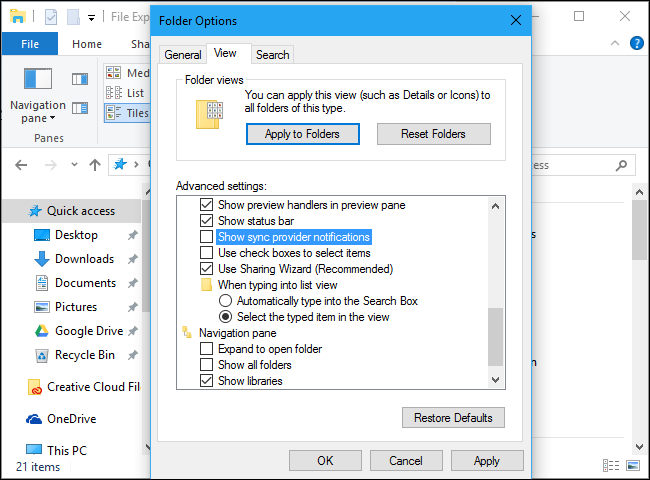 To do so, click the “View” tab at the top of the File Explorer window and click the “Options” button. Click the “View” tab at the top of the Folder Options window that appears. Scroll down, uncheck “Show Sync Provider Notifications”, and click “OK” to save your settings. Once you’ve changed this option, you shouldn’t see any future notification messages in File Explorer. You’ll continue to see notification messages with information about Windows elsewhere, such as in your Action Center and on Microsoft Edge’s Start page. Given the name of this option, you might wonder if disabling this option will also disable any other useful features. 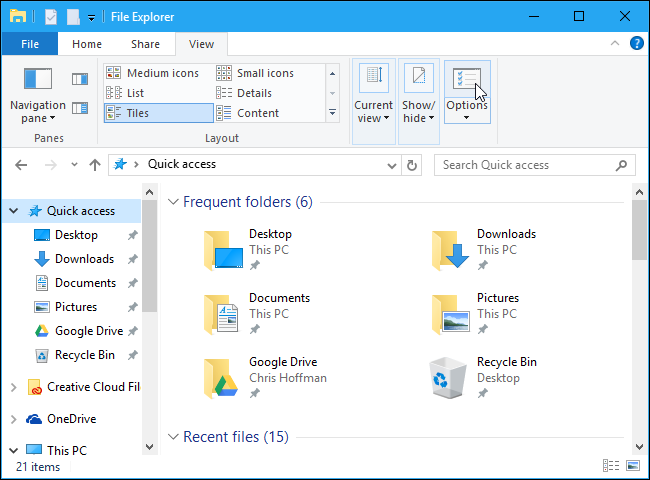 It doesn’t appear that this option currently controls any other features in File Explorer. There’s little documentation about this option, and it may be entirely new in the Anniversary Update. It’s possible that disabling this option may also disable future notifications banners from OneDrive in File Explorer, but we haven’t seen any notification messages from OneDrive yet.